[caption id="attachment_1898" align="alignnone" width="540" caption="Doodle Your Way To Where You Want To Go."] 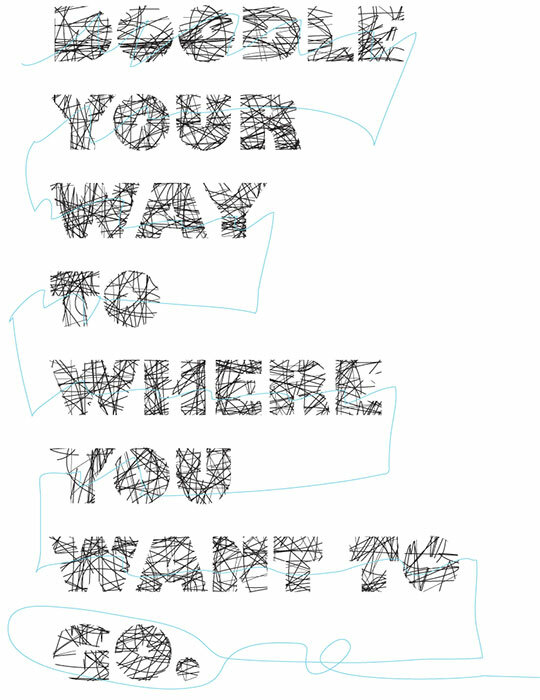 [/caption] Today I came across the cover for a book I designed for a friend who was leaving to take another job. It was a going away gift filled with random things: favorite quotes, work tales, pranks, etc. That was a couple years ago. When I see it today I really kind of like it. I remember not spending much time on it at all. It was ultra rush-rush. It's amazing how things come out so nice when you don't spend any time getting in their way. Commence doodling. This entry was posted on Tuesday, April 13th, 2010 at 7:00 am by Justin Kemerling	and is filed under Design, Short-Form. You can follow any responses to this entry through the RSS 2.0 feed. You can leave a response, or trackback from your own site.